Dr. Shah began his education at the University of Florida, earning a Bachelor of Science in Microbiology and Cell Science. He received his doctorate in Podiatric Medicine from Temple University School of Podiatric Medicine in Philadelphia. 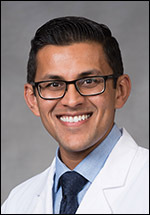 From there, he went on to complete his residency at Larkin Community Hospital in South Miami, Florida, where he also served as Chief Resident. Dr. Shah has also participated in numerous volunteer activities including the Yucatan Crippled Children’s Project in Yucatan, Mexico, where he provided corrective surgery to children with lower extremity deformities. Dr. Shah has an office at our Colonial Heights location, where he provides complete podiatric care for all ages, with special expertise in reconstructive forefoot and rearfoot surgery, wound care, diabetic foot care and sports medicine. Dr. Shah will be affiliated with CJW Medical Center (Chippenham and Johnston-Willis Hospitals), John Randolph Medical Center in the Hopewell / Colonial Heights area, and St. Francis Medical Center.